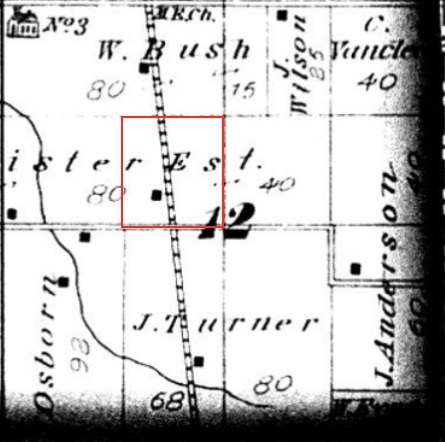 The 1900 US Federal Census Record is often a Treasure Trove of information. It provides a unique set of information including month and year of birth as well as the number of children a woman has had and how many of her children are still living. It can also provide clues to other items of interest. The 1900 Census record showing Samuel Scott and family is such a record, confusing and confounding. Per the 1900 Census, Samuel and Luvina had been married for 6 years, suggesting they were married in 1893 or 1894. However, the Illinois County Marriages index indicates that Samuel and Lavinia married on 25 Dec 1892 indicating they had been married 7 years and not 6. I can live with that difference. More interesting is that the Census indicates that Luvina had had three children, two of whom were still living. Then I noticed the interesting bit. Per the census, Samuel’s son William was born four months before his son Elmer (Dec 1893 then Apr 1894). Yikes! Another researcher that I trust indicated that Samuel and Lavinia had a daughter, Amanda, who was born and died in 1897, that fit the child that the census indicated was dead. Either Elmer or William must be one of Lavinia’s living children, but which one? I can’t believe she gave birth to two children, four months apart. I have ascribed Lavinia as Elmer’s mother, so I’m leaving that in place for now. But the question is, who is William H Scott, son of Samuel Vaden Scott; who is his mother? (Amanda Jane Haley died in 1889 so can’t be William H.’s mother. Very confusing. Was there another wife? Is the Census record wrong? Continuing, if Elmer or William is Luvenia’s child, then it would appear that Gertrude was Lavinia’s other living child. But, Gertrude was born in March of 1892, before Samuel and Luvenia were married. If that is the case, Gertrude must be from her previous marriage. What I gleaned from the 1900 Census. Gertrude was born Mar 1892, probably the daughter of Luvina and William Shockley. Elmer W was born Apr 1894, probably the son of Samuel and Luvina. William H was born Dec 1893, probably the son of Samuel and Unknown. There are other bits and pieces that the 1900 Census provides. For example, Samuel’s mother may have been born in Kentucky, different from some other records. None of the three children were attending school (although Gertrude was 8), and Samuel was a farm laborer renting a house (not a farm). I never look at one Census as absolutely correct, however, the census can provide areas for further inquiry and suggest possibilities which may not otherwise be evident. I’m still looking. Maybe other census or other records I find will provide clarity into the parentage of these three children. 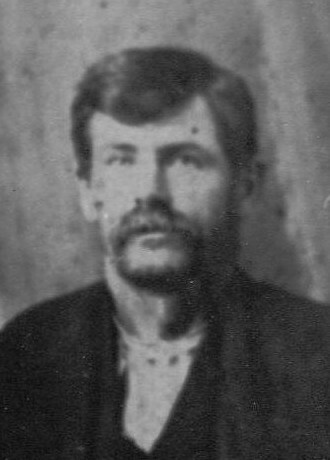 3rd Great-Grandfather: William Hunter Scott. Track and Trace Samuel Vaden Scott through the other Census records. Family Search: 1900 Census – Samuel Scott – Missouri, Saint Francois County, Saint Francois Township, ED98 – Sheet 19A, Line 35-39.